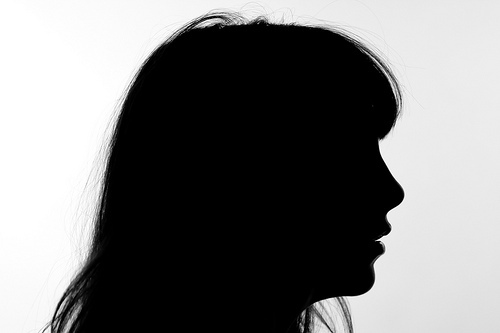 At first, creating buyer personas seems simple. They're just semi-fictional representations of your ideal customers, after all. But when you actually get into the nitty-gritty of creating them, it's easy to get tripped up. One of the biggest challenges you are likely to encounter revolves around actually gathering the information you need to construct your personas. When you need to be surveying your customers, gathering insights from your employees/coworkers, and diving into your marketing software, it can all become a little overwhelming. Here’s a list of some of our favourite tools that will help you create better buyer personas, broken down by the different parts of the persona development process. Ideally, you’ll sit down with your customers and chat with them face-to-face to uncover things that will inform your persona development. Whether you decide to have a one-on-one chat or a larger focus group, sitting down and actually talking with people is one of the most important parts of your persona development process. Pro tip: If you can, you should record your calls. That way, you can concentrate on asking important questions rather than trying to jot everything down. (Just be sure you've gotten your interviewees' permission to record the conversation!) Skype has a list of useful tools you can use to record Skype calls, and Google Hangouts are automatically recorded. Sometimes, it’s not feasible or possible to have direct conversations with your customers. This situation is especially common in sensitive industries such as health or personal finance. All three of these tools have their own merits. SurveyMonkey is great for creating a basic survey that can be integrated with your marketing software, whereas SurveyGizmo offers some other advanced features, such as email auto-responders and client management. The latter also gives you total branding control, meaning you can make it look exactly like your website (which can be hard to do with other survey platforms). Google Forms are perfect for capturing quick opinions or feedback on certain topics. While they are quick and easy to set up, Google Forms lack the flexibility to run data analysis like you can with SurveyMonkey and SurveyGizmo. Pro Tip: Make sure you pre-test your survey, either among your colleagues or a small section of your target audience. This will ensure that you avoid any glitches or unexpected question interpretations when you send your survey to the larger group. Even if you're the one leading the charge on creating buyer personas, you're going to need to collaborate with your coworkers to get a well-rounded view of your semi-fictional customer. To make collaboration easy, you'll need the right tools. The following tools are particularly useful for collaborating -- especially for companies that are spread all over the world. Trello is usually seen as a project management tool, but it can work really well as a collaborative brainstorming tool, too. 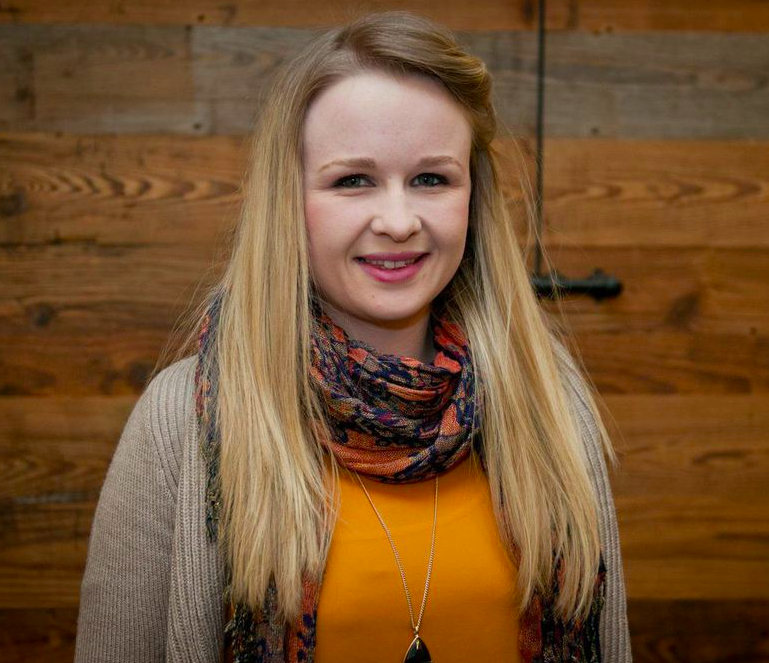 How can you use it to create buyer personas? 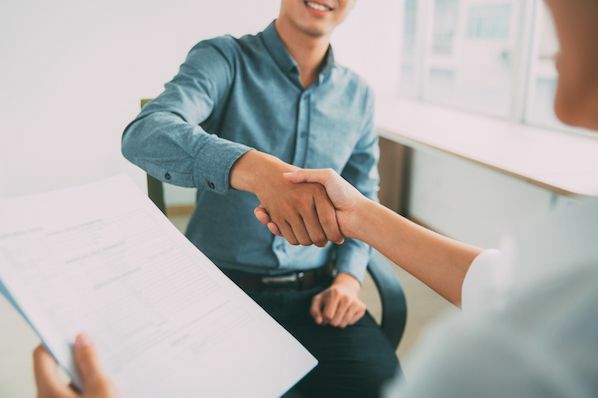 After you've reached out to your customers and prospects for interviews and/or surveys, you’ll have some good ideas as to who your personas are. In Trello, create a different list for each persona and add a card for each aspect of that persona. Within each card, create a checklist and have your team attach documents and add comments to the cards to help build out each persona. Google Docs can work in a similar way. For example, you could create a different spreadsheet for each persona, and put different aspects of each persona on different tabs within the doc. Send this around to your team members, and ask them to add their knowledge it. Pro Tip: Sometimes, it can be a challenge to get people on your team to make time to contribute to a collaborative project. One way to overcome this is to send a calendar invite for 30 minutes that'll serve as a reminder to contribute to the project. Once something is blocked off in your team’s calendar, they are more likely to see it through. Lead intelligence is one of the best ways to learn insights and tidbits about your personas. After you talk with a few of your key customers about their pain points, you can use lead intelligence to see exactly how they found your website, what they converted on to become a lead, and how they've continued to engage with you since then. You should be able to figure this out in your marketing software. We use the HubSpot Marketing Platform for that -- this information is available right with each person's contact record. Pro Tip: When viewing someone's contact record, you can easily search for your contact in Google. By clicking on the "Search in Google" link in the left side-bar, you will be redirected to a Google results page for your contact name and their company without you having to type anything. These results will usually give you an idea of what social networks your personas are typically on, what forums they are present in, and so on. 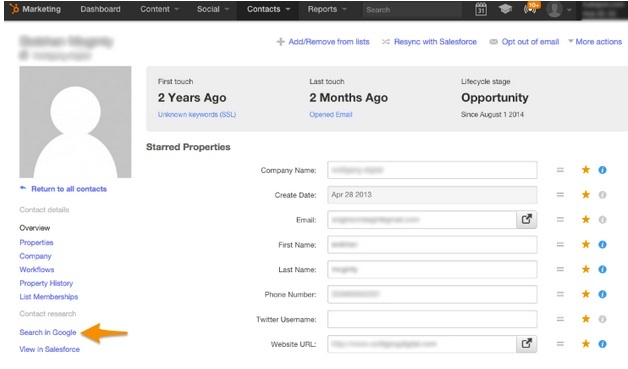 For more information on how to use HubSpot contact records to build your personas, check out this resource. While doing your online research, you should dive into social media to get some useful information. Below are a few of our favorite social media tools to use for buyer persona research. i. Click here to access Facebook Audience Insights. ii. 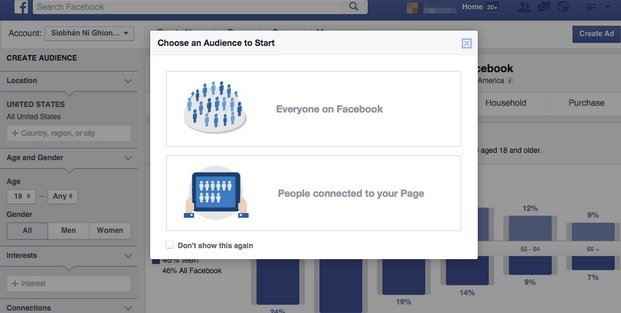 You’ll be prompted to choose either "Everyone on Facebook" or "People Connected to your Page." To do research on your existing network, choose “People Connected to your Page.” Note that you must have over 1,000 Likes on your Page for this to work. iii. You’ll be prompted to choose your Page on the left-hand side of the screen. Then, be sure to choose your country. From there, you’ll be given information on things like gender, age, job titles, education level, relationship status, what other Pages your audience Likes, amount of Facebook activity, devices used, and geographic location. For those living in the U.S., you will also get information related to household characteristics and purchase behaviours. Followerwonk has so many uses in inbound marketing, including growing your audience and reaching out to influencers. But did you know it also has a place in building buyer personas? 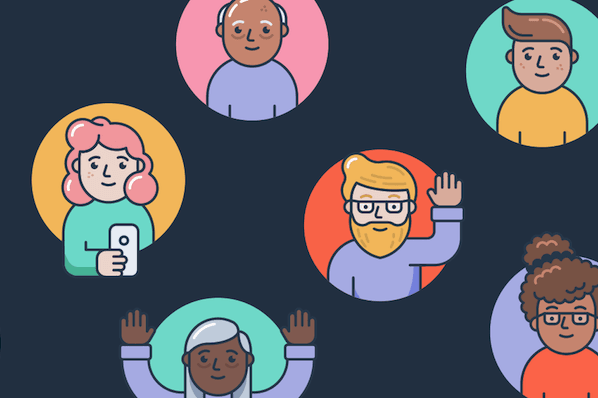 Similar to how Facebook Audience Insights uncovers Facebook audience characteristics, Followerwonk helps you paint a picture of your Twitter followers. i. Log in to Followerwonk here. ii. Connect your Twitter account to Followerwonk. Click Analyze. Then, you can choose to analyze your own followers or the followers of other accounts. If you don’t have a large following, I'd suggest choosing the latter so you can analyze competitor accounts. iii. The analysis will give you insights into the times of day your audience is active, their location, your followers' biographies, and how frequently your audience posts, among other things. With a subscription, you can also view extra specific data, such as how people in your audience structure their tweets and how much they retweet. (More retweets are generally a good thing, as it means this audience is more likely to retweet you.) All this information is super useful when you’re building out certain aspects of your personas, such as noting what times they are likely to be online. Followerwonk can be a bit light on specific interest data, so it's a good idea to combine that data with data from Twitter Analytics. Twitter Analytics has come leaps and bounds over the past year, and it presents some really useful information for enriching your understanding of your buyer persona. 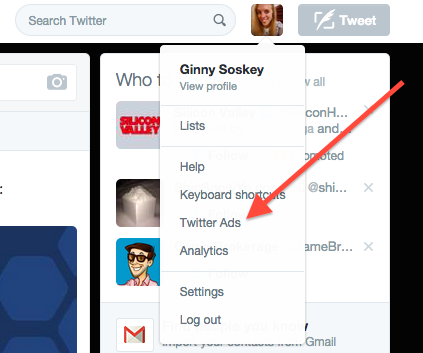 Using Twitter Analytics is really simple -- that is, if you know how to access it. To get to your Twitter Analytics dashboard, click on your profile picture in the top right-hand corner of the navigation bar on Twitter.com. A menu will pop down. Click "Analytics" to be taken to your dashboard. From the Twitter Analytics interface, click “Followers” on the top navigation bar, and presto -- you have a mine of information in front of you about your Twitter followers. 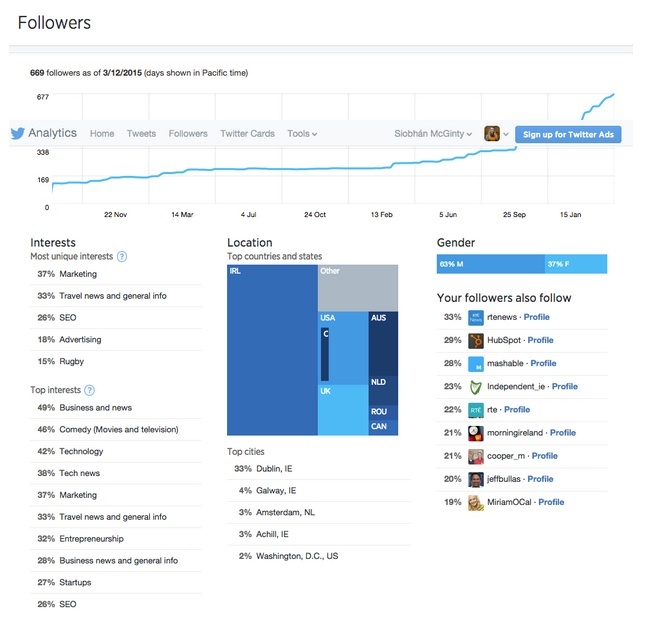 Twitter Analytics presents information on interests, location, gender, and people your followers follow on Twitter. Pro Tip: There are so many options out there when it comes to social media analysis that it can be difficult to know where to start. If you suffer from this problem, remember to look over the research you have already conducted and look for some holes. What kind of information are you lacking in? Once you know what you are looking for within social media intelligence, the easier it is to navigate it. Once you have all your research completed, it can be difficult to figure out how to compile it all into one working document. We’ve created a free tool you can use that streamlines this process. All you do is navigate to MakeMyPersona.com and answer the questions using the data you’ve collected. We’ll then email you a customizable Word document with your answers so you can add to them over time. Pro Tip: If you’re having trouble getting some questions together to ask your customer base, you can run through MakeMyPersona before you start your research and make a note of the questions you need to ask. What tools do you use to create your buyer personas? Let me know in the comments!